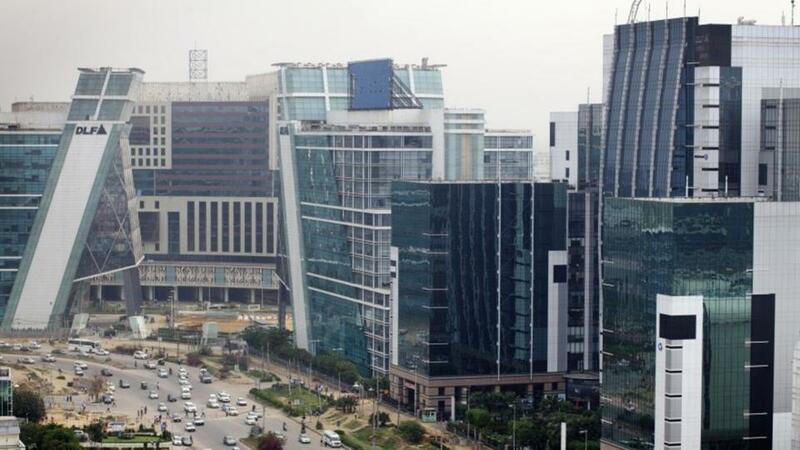 Indian Real Estate Giant DLF Ltd has recently announced a second joint venture with global investment and development firm Hines to develop a commercial project in Udyog Vihar, Gurugram, at an investment of ₹1,900 crore. The project will be developed on 11.76 acres of land owned by the Joint Venture. India’s Largest developer DLF had in February 2018 emerged as the highest bidder for the land parcel that was auctioned by Haryana State Industrial and Infrastructure Development Corporation (HSIIDC) for a record of ₹1,496 crore. DLF Home Developers Ltd and Green Horizon Trustee (an affiliate of Hines) have entered into the joint venture, in which the former will hold 67% stake while the remaining 33% will be held by Hines. Hines will initially own 33% equity share of the JV with an option to increase its stake to up to 49%. Hines has invested around ₹500 crore in the first tranche. The project is located close to DLF CyberCity and construction will begin in 2019-2020.“…With our joint experience, we shall work together to develop world class buildings which will set new standards for commercial buildings in this part of the world,” said Sriram Khattar, managing director (rental business) at DLF, in a statement. “A significant feature of the relationship has been the implementation of international best practices in the industry in Indian conditions which has been accepted by both partners,” said DLF’s executive director Surojit Basak. “Over past 10 years, Hines and DLF have established a successful partnership, which has laid the foundation for us to come together again and expand the relationship to build world-class developments in Delhi-NCR,” said Hines Eurasia CEO Lee Timmins. In the past few years back DLF and Hines entered into their first joint venture in 2008 to develop One Horizon Center in DLF-5 Gurugram.